Rated 5 out of 5 by Robcol from One of the best yet Very entertaining, thought provoking and fun. Rated 5 out of 5 by Mariewhitehead from Brilliant Loved the second part of this series. Rated 5 out of 5 by skullfun from CHRIS ANDERSON IS BACK WITH A SEQUEL MUCH BETTER THAN THE FIRST! The Andersen Accounts is back for another round of thrills and the tensions in Bay City are rising as the conflicts between Marked and Unmarked people start to grow. Detective Chris Andersen is on his way for a pleasant evening out with his girlfriend when he is approached by a stranger that has transformed his body parts into wood. Can you help him stop this gang of criminals before time runs out? 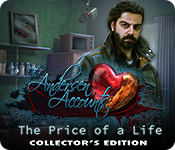 The Andersen Accounts 2: The Price of a Life is the latest creation from the creative minds at Eipix Entertainment! Like the first game, The Andersen Accounts: The Price of a Life is an excellent hybrid between the true-crime and the dystopian genres. The storyline in this edition may not be the most fast-paced nor the most action-packed, but it is consistently paced and the delivery is definitely impeccable. The storyline development and the buildup to the revelation leave enough room for suspense, which makes for an incredibly captivating game through and through. Eipix did an amazing job with the intricate artwork and epic visuals, along with the breathtaking musical score. I thought the gameplay was sophisticated enough to maintain the excitement from start to finish. 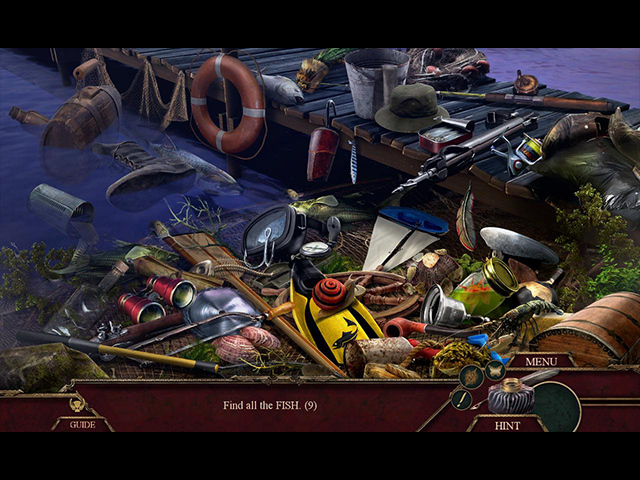 The hidden object scenes are creative and highly interactive, while the puzzles are fun and clever. The protagonist’s supernatural ability is put to great use and feels like a device to get the player more engaged in the game rather than just another silly gimmick. I really loved this sequel which took me about four hours to complete and it was a thrill ride all the way through. I hope Eipix continues with this series and perhaps go so far as to create another new HOPA series in this same genre. Cheers! Rated 5 out of 5 by pedroG4mac from Location, location, location We have some rainy days to get through, and with a story such as Andersen's, we can handle it. Sort of James Bond without need of a weapon, with a familiar feel to the landscape of urban environments, we traverse the scenes in the land of corruption, without being swayed by their power. Great effort to create a space to become the hero, and scenes have a mysterious sense, that we are evading the harm intended in the quest to heal a friend. Rated 5 out of 5 by greenshade from Great story and game play Late to the party but simply must add my 5 stars to this terrific game. Eipix has proven it can provide so much more than eye candy graphics and run of the mill entertainment. Thoroughly enjoyed the HO scenes and even some of the puzzles. 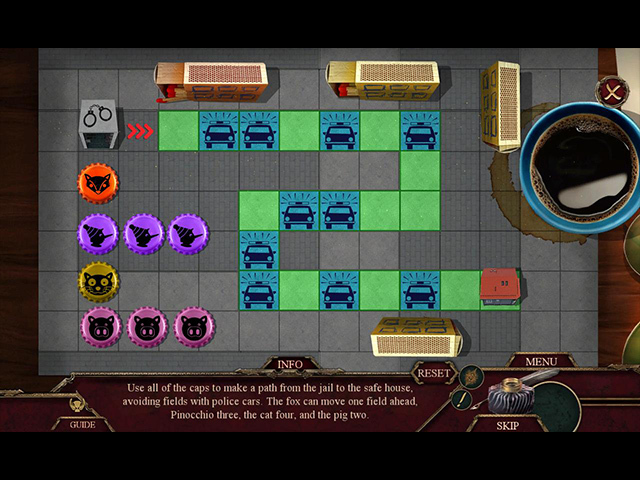 The adventure part of the game kept moving with tasks that were fun to complete. Excellent story telling and as long as Eipix produces Anderson Accounts of this caliber I will continue to happily purchase! Great bonus game, too! Rated 5 out of 5 by jennsmom from A Pleasant Surprise When I had an opportunity to play the Beta for this, I was not thrilled with the beginning, and remembered I hadn't loved the first one in the series. Fortunately, I read some positive reviews for this, and purchased it hoping it would improve as the game went on. It certainly did! I believe it's 75% better than the first one and although I haven't finished the game as yet, I'm interested in what happens next, and if the marked and unmarked will ever come to terms, and will the villain finally get his comeuppance. It's easy to play, direction is clear, puzzles are varied. I love the game and recommend it. Rated 5 out of 5 by Innerl from Excellent sequel in the series If you liked the first Anderson Accounts, you'll like this one. 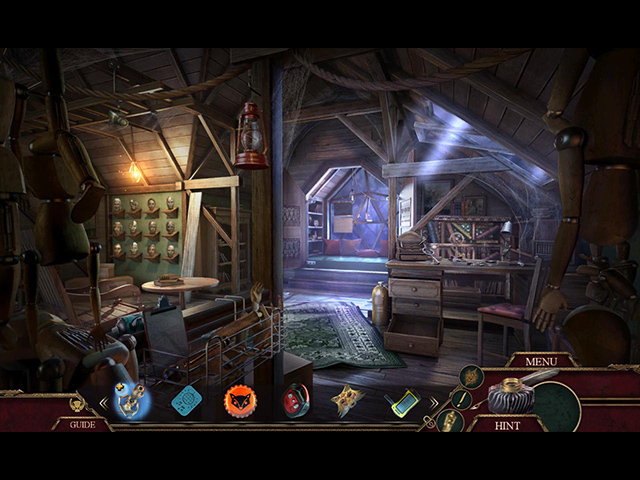 Excellent blend of horror and adventure elements in a mystery game. I liked it better than the first. Rated 4 out of 5 by RPgames from Wood please I played the first game in this series and liked it. This one is ok with it being a longer game than most of the newer games I've tried . One does wonder around a great deal which doesn't bother me but this one was a different level of searching. Even got to me this time. That may have been the reason for this game seemingly being longer. Story line is ok but the bonus part was a little hard to follow but by the end it made more sense. Seemed a little anti establishment type game to me so if your a rebel this maybe a game for you. Try the demo which I didn't because it is different that the first game. To me . Rated 4 out of 5 by timothya from Great Atmosphere But Short You'll have to like dystopian urban scenes to like this one, but I found the atmosphere intriguing. It is Pinocchio reworked in a modern, cyber-punk setting with enough humanity in it to save it from being too dark. Pros: the settings are convincing, nothing too artificial, just gritty enough to be credible. This is not a nice place and nice people do not control it, but the equally gritty good guys get their licks in nonetheless. Main game POV is male, bonus game is female, which is a nice touch. Cons: it's a short game, with a very straightforward objective, (on the good side, it doesn't concern saving the entire world from something for a change). Dialogue is good, delivery isn't, always. Graphics are a little soft but imaginative. Overall, a solid four stars in my book, and a bit of a sleeper. I'd purchase the SE in a heartbeat.